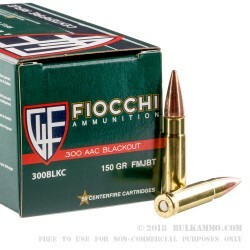 This 300 Blackout ammo by Fiocchi is built using quality full metal jacket boat tail projectiles to deliver quality accuracy and function at a good price point. This ammo is built to reliably function at super sonic velocities at a price that can give you more range time. 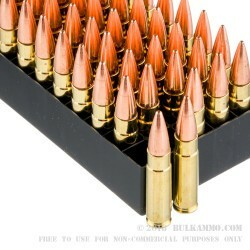 This ammo comes in a 50 round box but if you're looking for larger volume be sure to check out our selection of full case quantities. 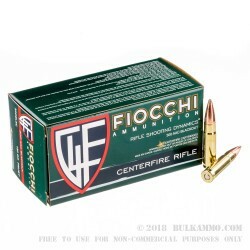 This ammo is great for reloading the cases and is manufactured by Fiocchi. Fiocchi has well over 100 years of experience tracing their start to 1876 when Giulio Fiocchi founded it and to this day it is operated by his ancestors. 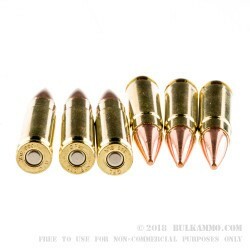 Q: Is this ammo super or sub sonic? A: Hello Chris! The 150 grain ammunition is standard supersonic ammunition.